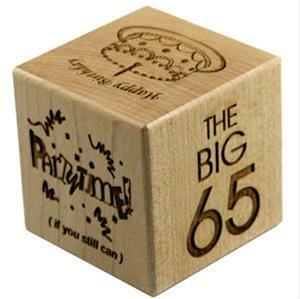 So the Birthday Block was designed to be a gag for my Sister-In-Law when she turned 30. However it took off as one for the kiddos too so we added in kid appropriate graphics for one side - LOL. 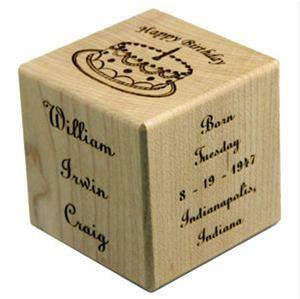 Engraving includes Person's full name, Date of Birth, Location of birth and age. Graphic Options available one one side are: Patry Time, Balloons, Teddy Bear, Star, Sweet Sixteen, Rose, Horse, or a Train.